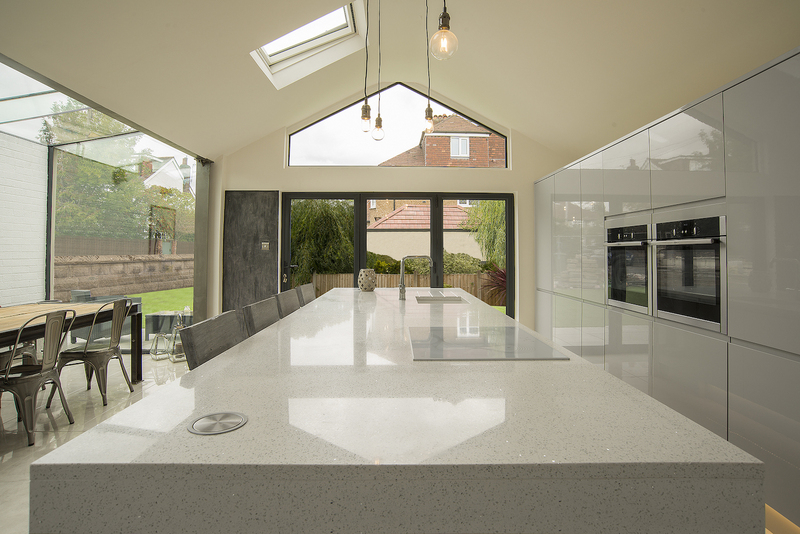 This semi-detached property in Bebington has benefited from a full refurbishment. 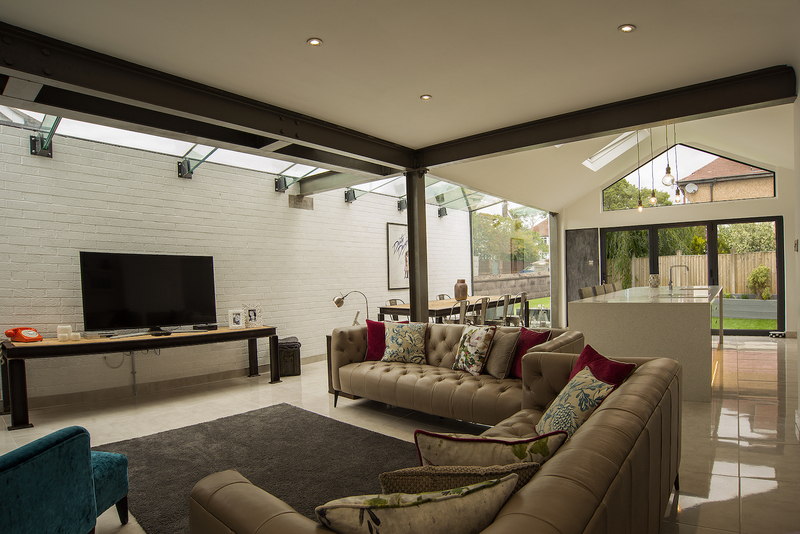 Our client wanted to make their living space much larger by adding a wrap around extension, introduce open plan living and allow as much natural light in as possible. 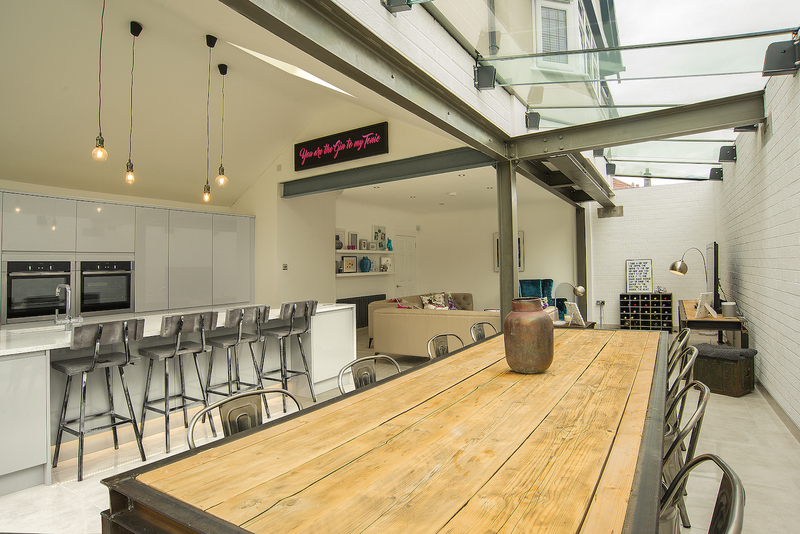 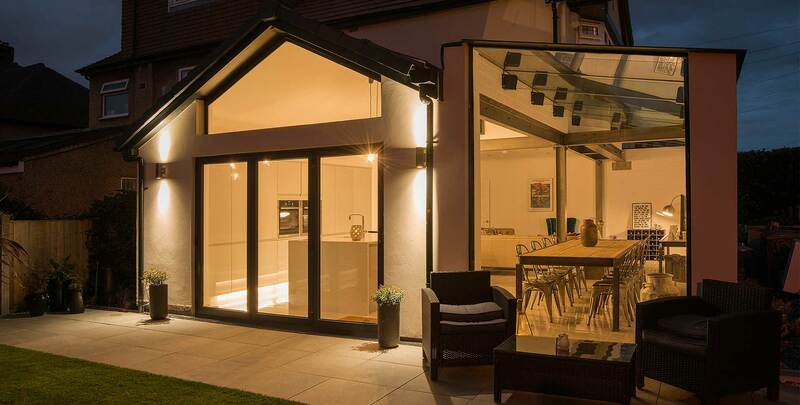 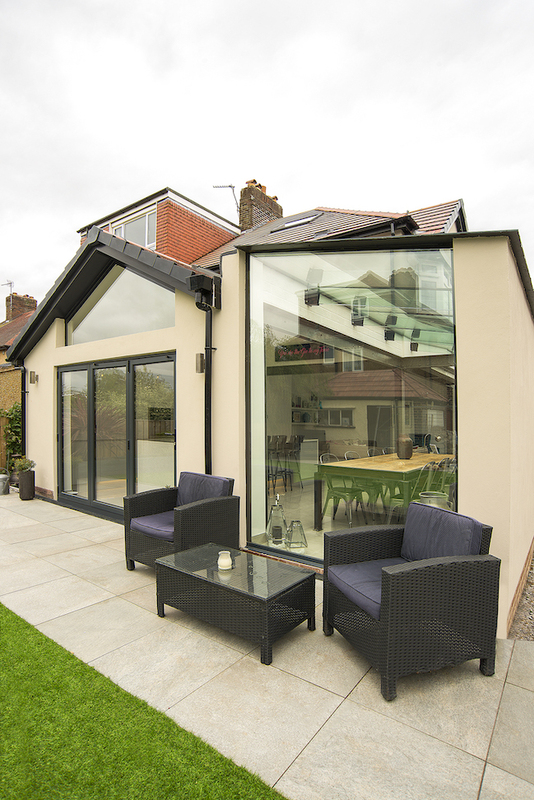 For privacy in the right areas of the house and to keep the extension in with the house genre, this glass extension was a mixture of structural glass, structural steel, external brick walls and modern bi-folding doors. 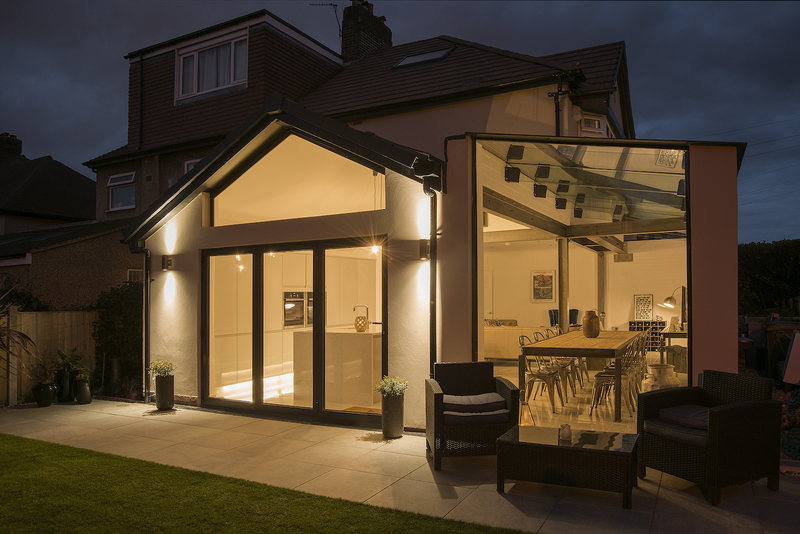 If you would like to discuss a project you are planning, please give us a call on 0151 651 2798. 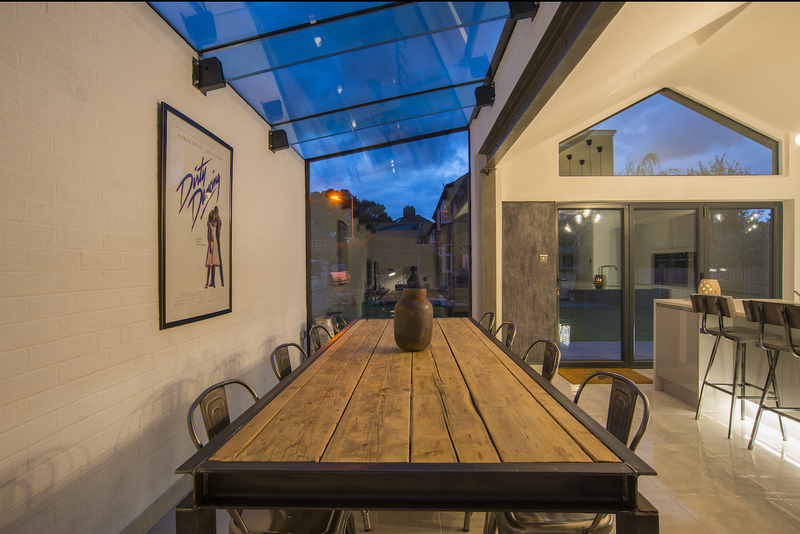 We have a range of daytime, night-time and internal shots of this project. 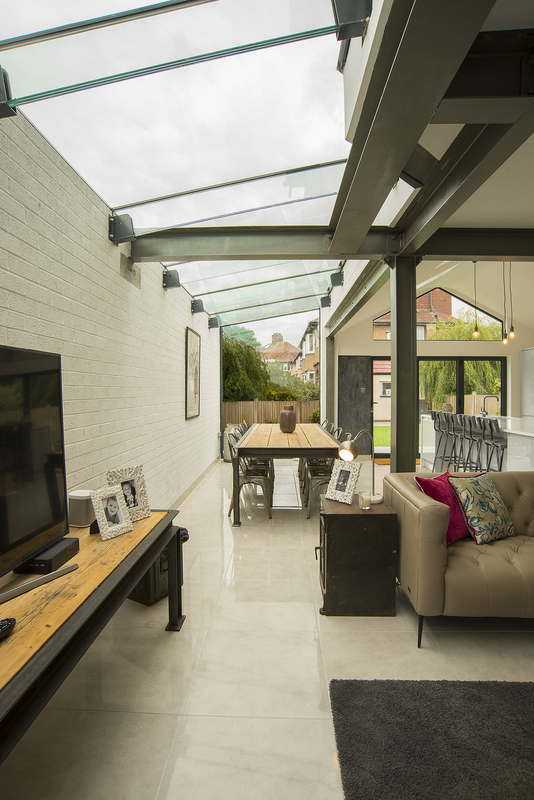 To view all of the final images from this project, select the view full size images link below.